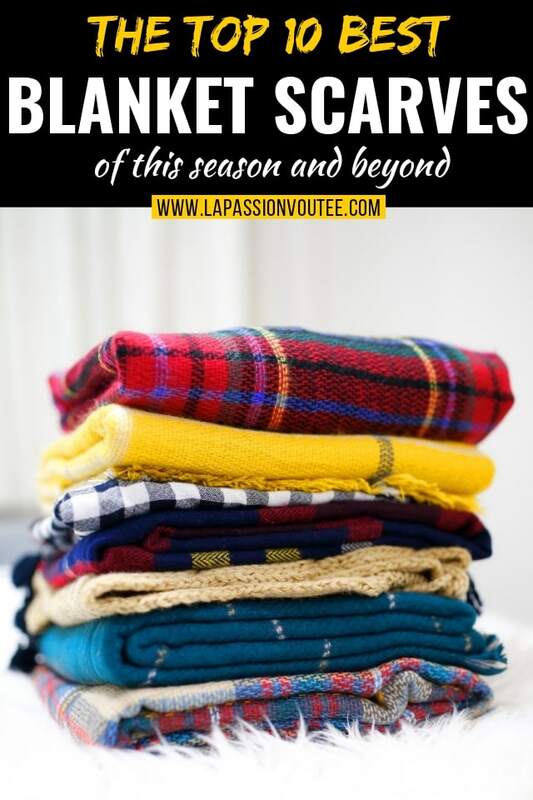 Today, we are going to continue the blanket scarf series with a roundup of the top 10 best blanket scarves available right now. I bet you’ve seen these oversized scarves plastered around the internet, but you’re unsure about the technical name of this type of scarf. If you’re not familiar with what these scarves are, I’ve got you. What is a blanket scarf? 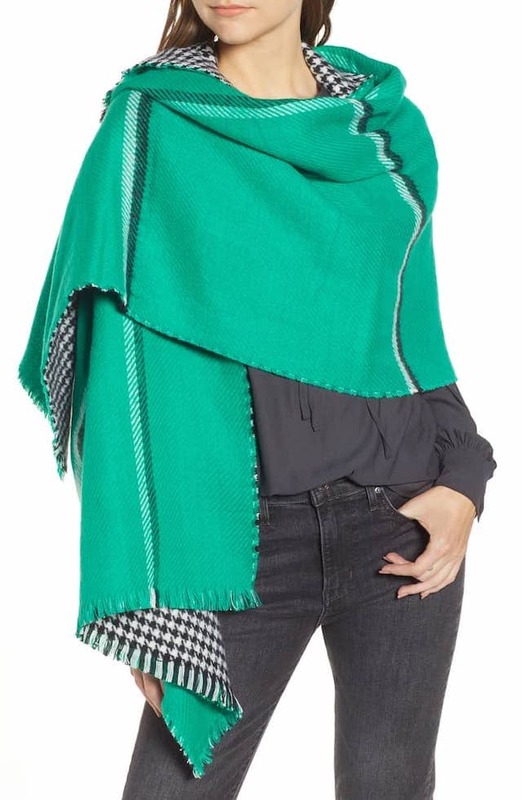 As the name implies, blanket scarves are supersized versions of a scarf. They are so large that they can double up or be mistaken as a blanket. 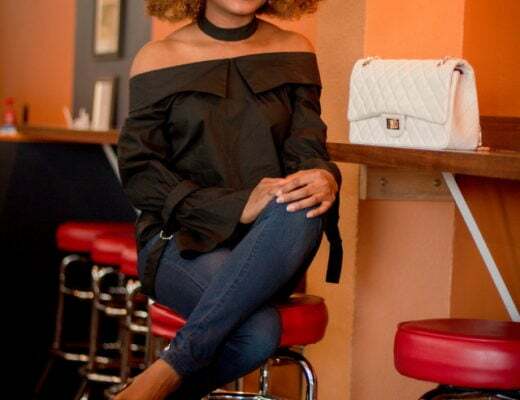 Also known as a square scarves and oversized scarves, these scarves are supersoft, warm, cozy and comfortable pieces and might very quickly become your favorite cold weather accessory. The beauty of blanket scarves is that they can be worn in an umpteenth number of ways. And this is a major plus when you’re trying to make the most out of your wardrobe and budget. They are versatile and functional completer pieces which are the ultimate winter accessory guaranteed to keep you warm. Whether you’re dreaming of a white Christmas or looking forward to spring, stay warm and cute in one of the hottest cold weather accessories of the year: the best blanket scarves. All of these scarves are under $50, and most are priced right under $20. Keep reading to discover the best blanket scarves of the season. You want to know what’s cool? 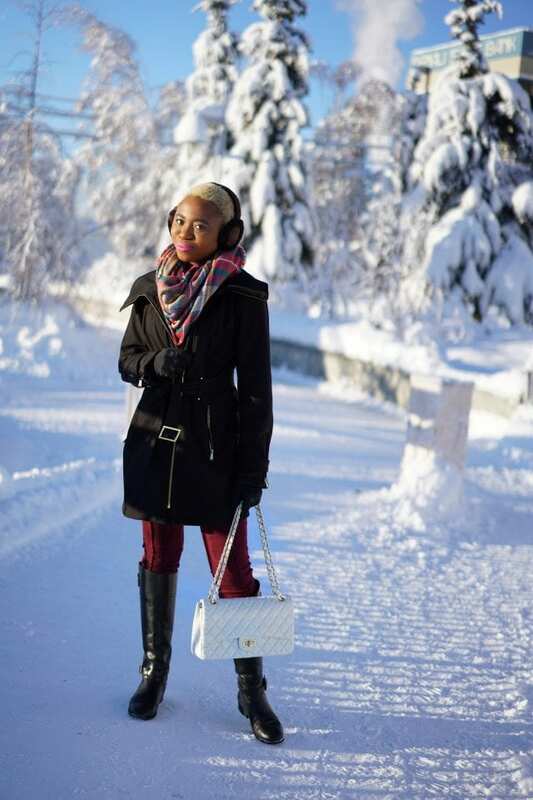 You don’t have to pay an arm and a left for cozy oversized scarves #obsessed! 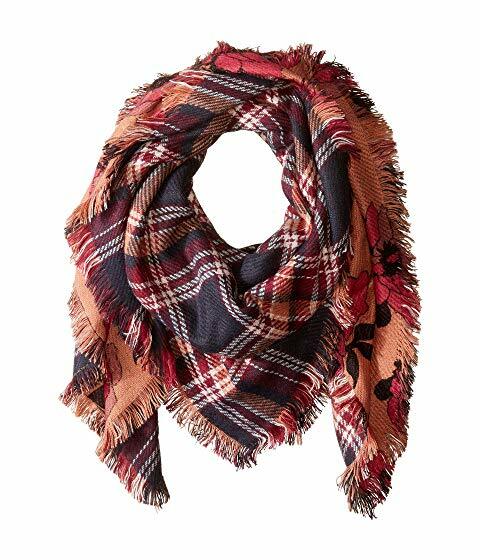 This scarf is an absolute beauty because both sides of the plaid of floral print pair nicely with nearly any fall outfit. It features frayed edges that hang nicely on your shoulders giving you a slender and perfectly accentuated figure. Complete with a bright, cheerful pattern this scarf will transform the simplest look into something that indisputably pops! 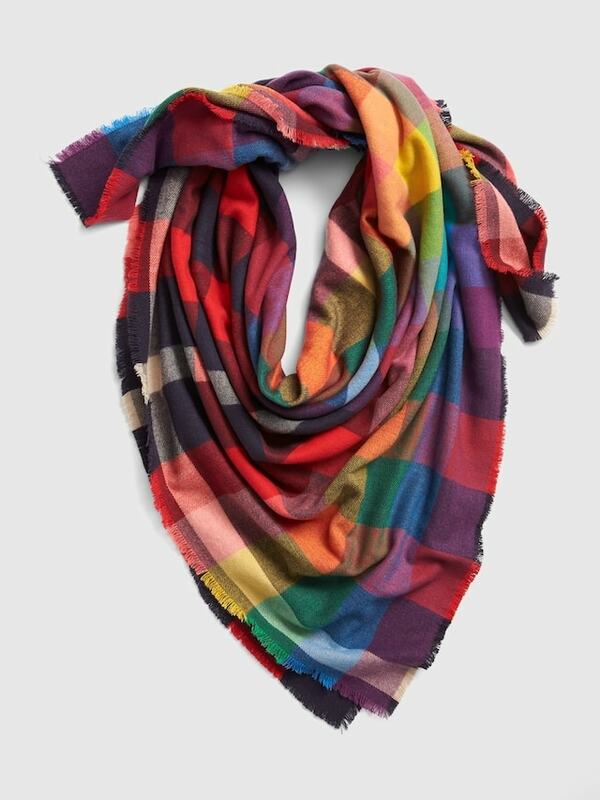 Find an accessory as bright as you, and choose this Vince Camuto scarf to pair with your fall, winter and spring looks. Going for a night out on the town? 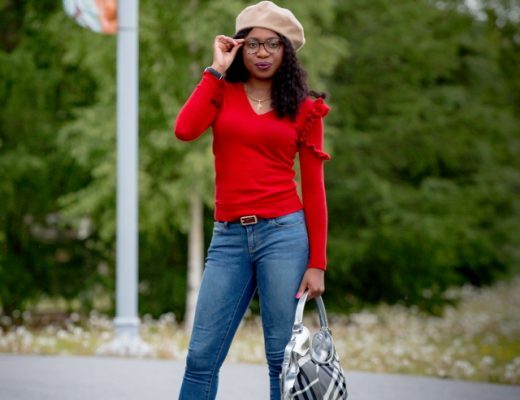 Fall looks are great but are sometimes hard to match for a nightlife scene. 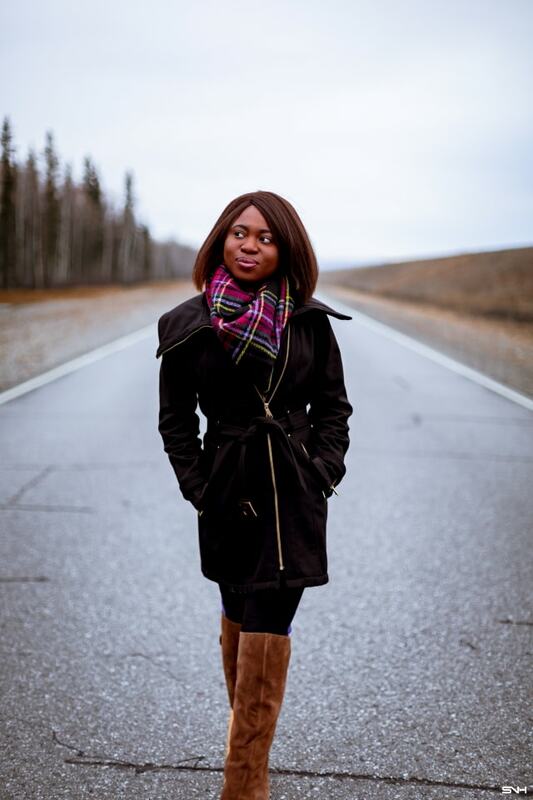 A classic leopard print blanket scarf is an excellent middle ground between the casual everyday look and a night out in town while making sure the cold doesn’t get to you. 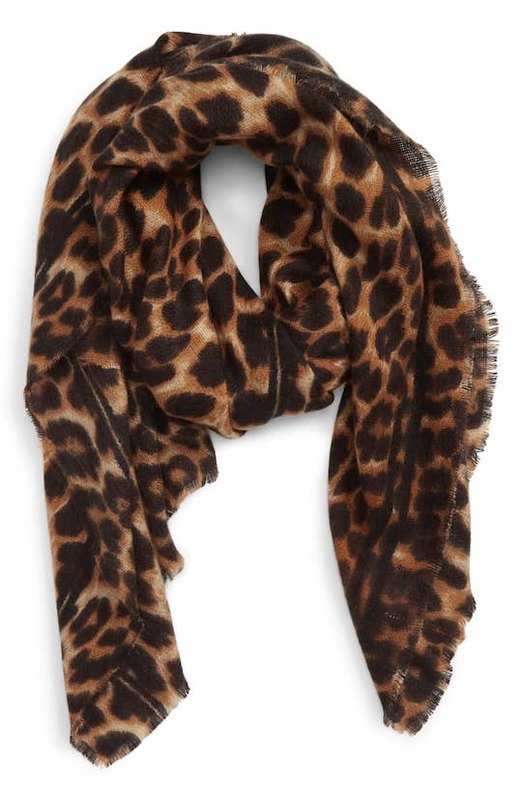 Even if your plans rest more in events like work, school or even daytime strolls, this leopard print blanket scarf can be dressed up or down as desired. Not only is leopard print a timeless classic, but it is also a versatile piece that can spice up any outfit in your closet! Take plaid, and make it chic! 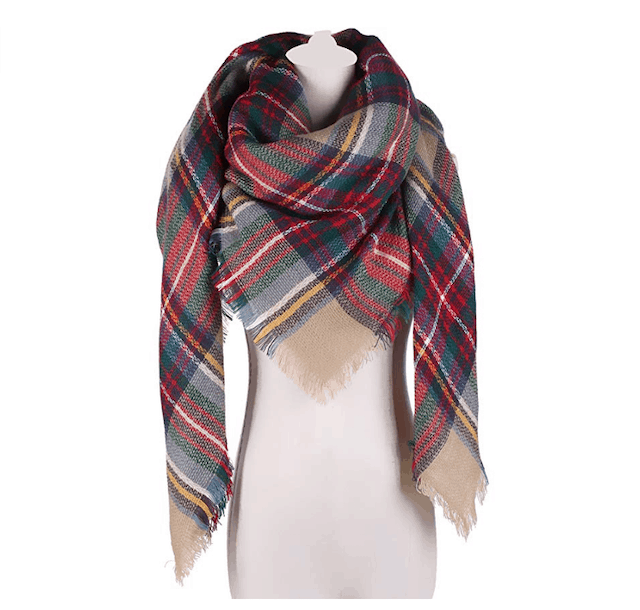 This blanket scarf is the epitome of fall with all the comforts of winter. It has the perfect length and thickness to help you brave the harsh cold through winter and spring. Be the trendsetter in this soft, cozy and timeless blanket scarf. Like to color outside the lines? 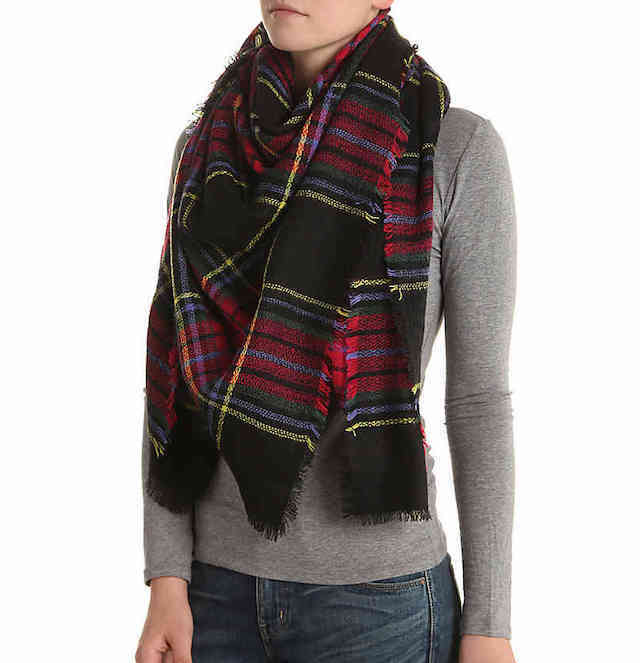 Wear that personality trait like a badge of honor, and try this multicolored plaid oversized square scarf by GAP. It features refreshingly vibrant colors and frayed ends. You just might catch yourself saying that this is one of the best blanket scarves you’ve ever bought. And this scarf goes with just about any outfit. Here’s a very similar pattern from Nordstrom currently on sale with 35% off. Not all snow days can be spent by the fireplace with a glass of hot chocolate. 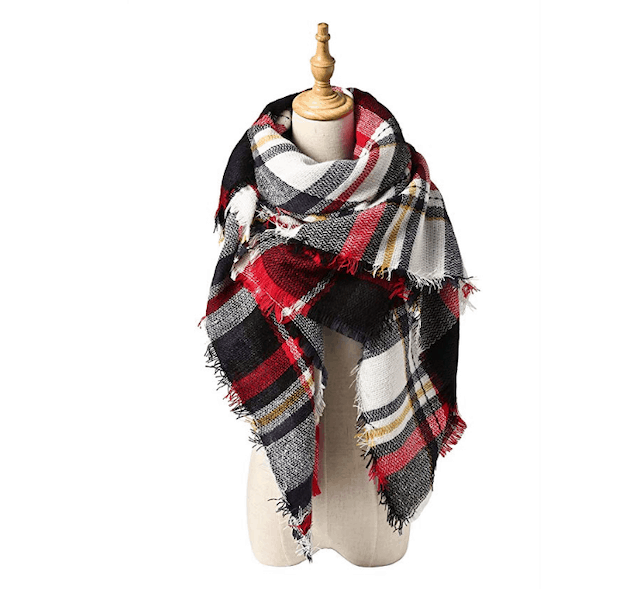 Cozy never felt so good with this plaid blanket scarf! The vibrant red and black colors of this winter must-have square scarf ensures easy pairing with the rest of your wardrobe. This soft and non-bulky scarf fits the bill of an excellent quality scarf for a fraction of the price. 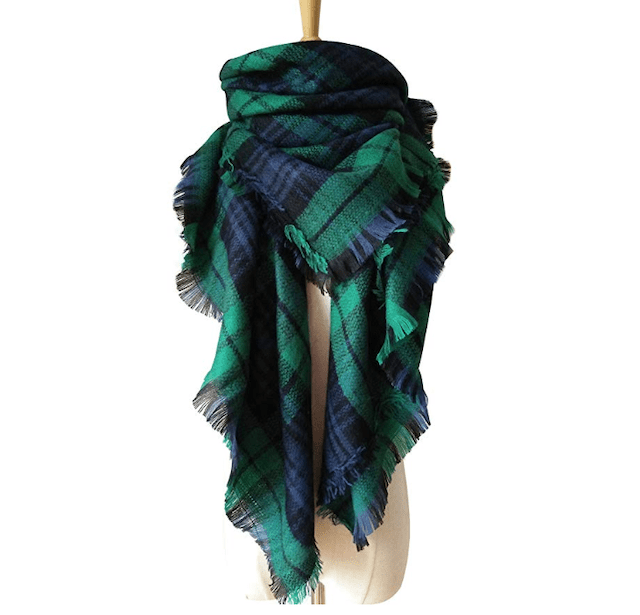 For the fashionista looking for a plaid square scarf that feels cozy on the skin (san that scratchy feeling), this lightweight accessory has your name written all over it. And you can score this scarf in over 20 different colors and patterns. I immediately hit the “add to bag” button when I spotted this scarf. The mixture of two classic patterns makes for a fantastic buy-one-get-one (BOGO) moment. 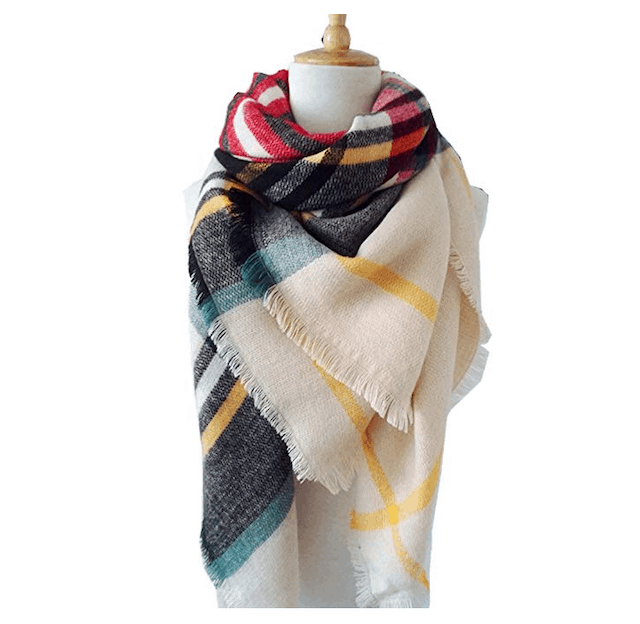 As I write this post, this supersoft, reversible blanket scarf sits cozily on my neck. The plaid side of the scarf has a neutral-light pink blend that gives your outfit instant pizazz. So even if you wore the plaid side the day before, turn it over for your next outfit. It can also be worn as a shawl. This scarf is easily my favorite from this list. And did I mention that it feels like cashmere and drapes beautifully? Highly recommended! At an enormous 59 x 59 inches, this scarf just about tips the scale for oversized blanket scarves. Although the fabric is slightly thin, the volume of cloth more than makes up for it. However, if you prefer your scarf to be on the lighter side, you can cut it diagonally into two halves. One for you and one for a bestie. For specific instructions on how to cut your blanket scarf in half, read this post: How to Style a Blanket Scarf. Dubbed as a pashmina wrap, this 4.5-star blanket scarf features rich and vibrant colors that make a statement. The scarf is made of high-quality cashmere that is guaranteed to be soft and comfortable. The reversible style means you can wear any side of this tartan blanket. And the frayed ends add a unique touch to your ensemble. You know I had to end this roundup with a bang. 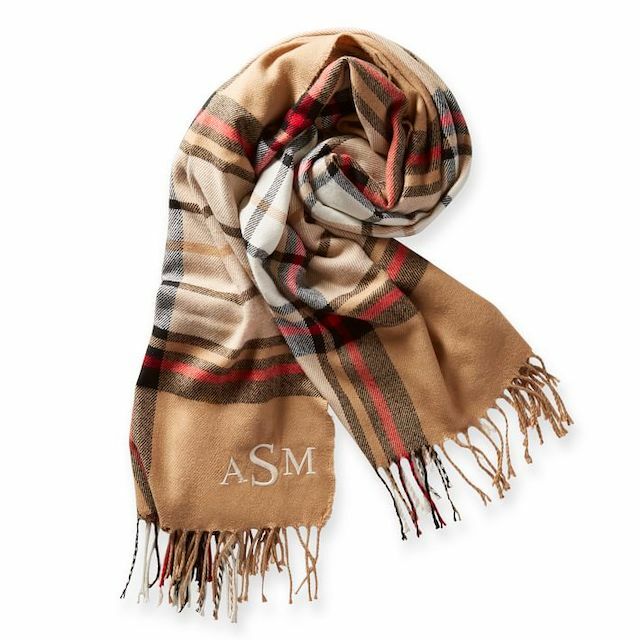 This monogram camel blanket scarf will have you oohing and ahhing. This super soft authentic cashmere scarf is just as chic as you are. And yes, you can completely customize the monogram (free of charge) for yourself or as a thoughtful gift for family or friends. The scarf also features reversible print and trimmed tassel ends. Get ready to steal the show! 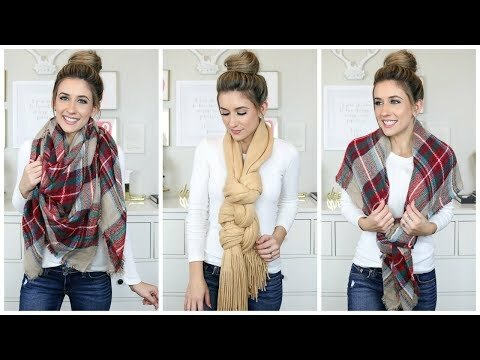 And 20 more ways to wear a scarf here. 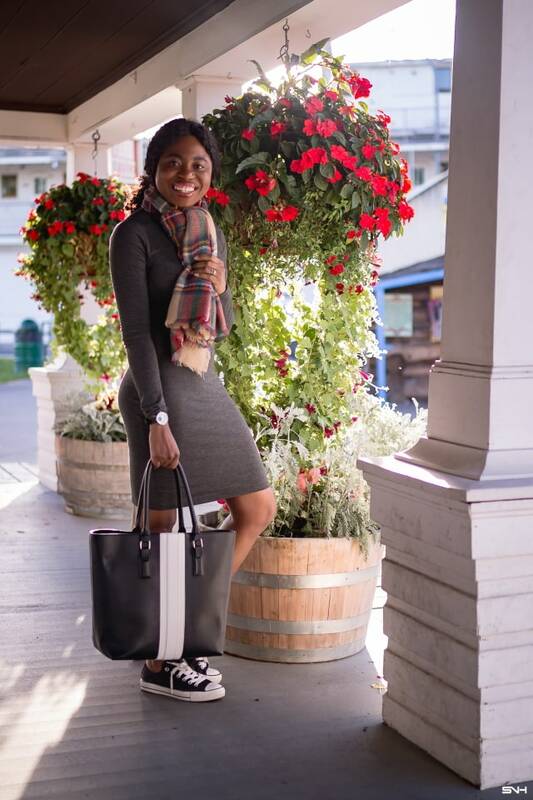 The blanket scarf isn’t just for the runway but makes for a style saver for everyday life, travel, or just an unusually cold indoor event.Traveling for the holidays? Going to see a holly jolly Christmas movie? 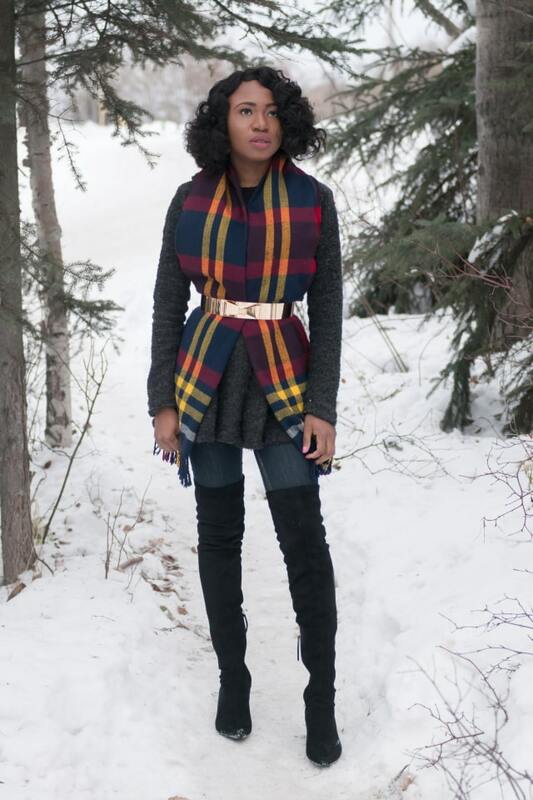 Wrap tight in a blanket scarf! Leave the scratchy dollar store blankets to the airlines and have your blanket scarf double up as a blanket (you guessed that right) while you snooze off on a well-deserved nap in the sky. The great thing about blanket scarves is that they have no age limit. So they make a perfect gift regardless of the season. Just about any cozy-loving fashionista can throw on this square scarf. 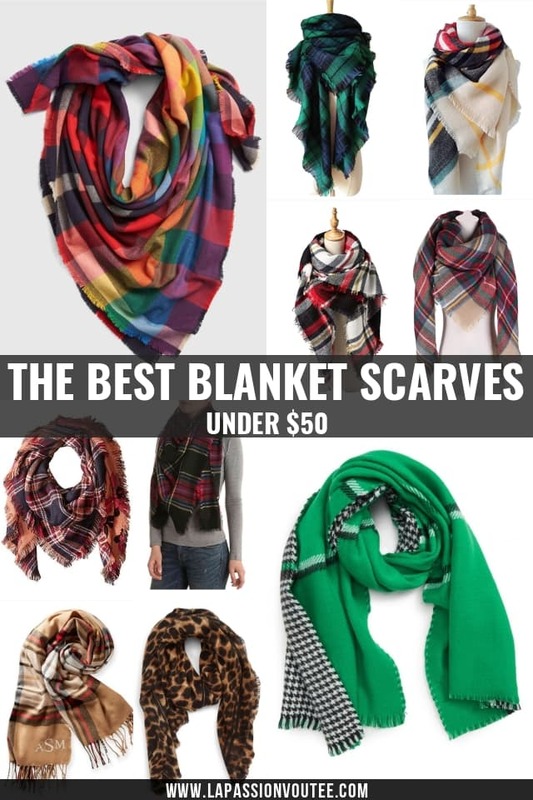 This concludes today’s post about the top 10 best blanket scarves of the season. As always, thanks for reading. Love them all. 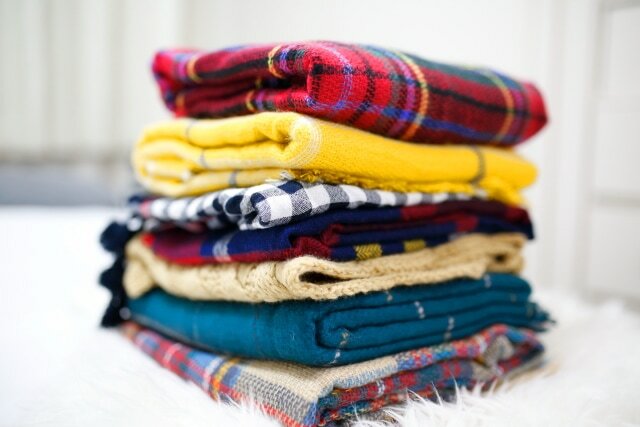 A girl can never have too many scarves! I know right? Thanks for stopping by Veronica! 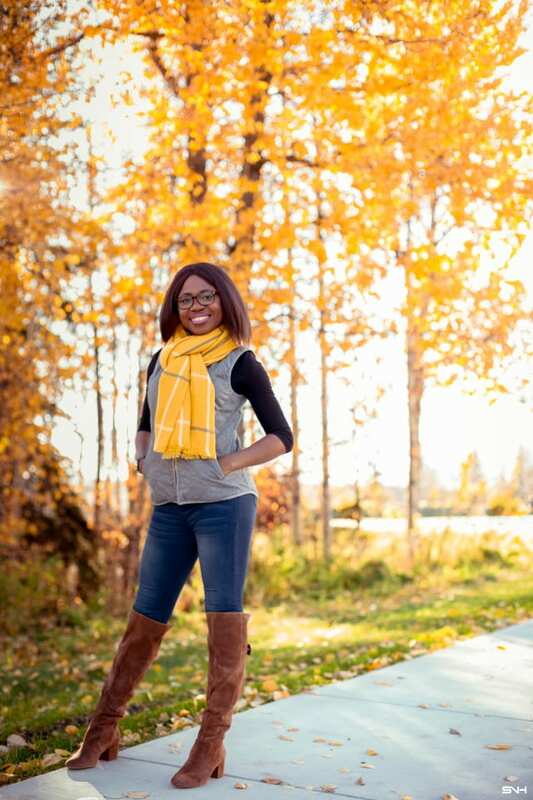 I so loving that yellow scarf. Have a great week. Yellow is quickly growing on me 😉 Have a fantastic week, Amy.